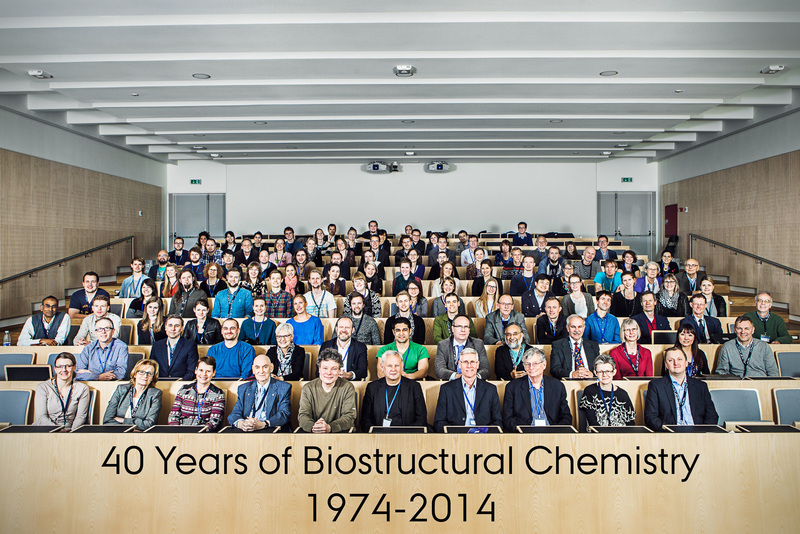 40 years of Biostructural Chemistry, and 30 years of LCA – celebrations on 21 March 2014 – perhaps you can recognise some world famous faces in the photo, including one Nobel Prize winner, and several potential ones, in the audience…!! This project is being coordinated from KU Leuven, Belgium, and its main aim is to validate C. elegans healthspan model for better understanding factors causing health and disease, to develop evidence based prevention, diagnostic, therapeutic and other strategies. Our involvement is to test the potential health promoting natural and synthetic compounds selected from C. elgans screening on normal human cells’ ageing, longevity, functionality, stress response, hormesis, robustness and resilience. And of course, our ongoing and life-long aim of understanding what is health at different stages/ages of life, at the level of the individual cell and the whole body. ; and how to develop WHOLISITC (an not simply “holistic” that allows everything unfiltered..!!) approaches, such as HORMESIS. 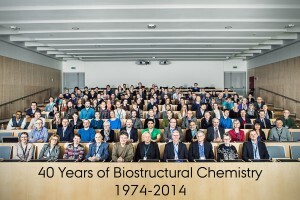 Laboratory of Cellular Ageing (LCA) formally came into existence on June 15, 1984, at the Department of Chemistry, Aarhus University, with my appointment as a fresh post-doc to work in the research group of Professor Brian Clark. LCA was started with a research grant from the biotech company Senetek PLC, with an aim to do basic research on the biology of ageing, while searching for potential anti-ageing compounds. (LCA achieved its aim by discovering the ageing-modulatory effects of kinetin and zeatin, which have been in use in numerous skin care products – at present the global brand which uses these compounds is KINERASE). Since 1996, LCA became affiliated with the Department of Molecular and Structural Biology (name was then changed to the Department of Molecular Biology in about 2002 or so; and then since 2011 the name is changed to the Department of Molecular Biology and Genetics). LCA has established itself as an internationally leading and cutting-edge research lab for education and training in the field of biogerontology. 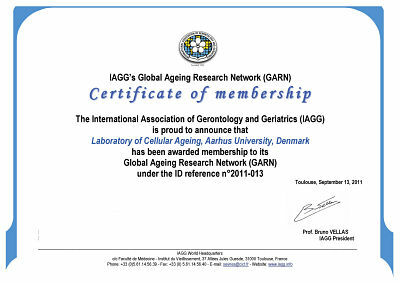 LCA work has contributed significant knowledge in biogerontology, specially with respect to our understanding of the nature of gerontogenes, regulation of protein synthesis, modifications and turnover, ageing of fibroblasts, keratinocytes, osteoblasts, bone marrow stem cells, endothelial cells, and mild stress-induced hormesis as an ageing modulatory intervention. LCA is also the place from where I edit an international peer-reviewed journal BIOGERONTOLOGY, published by Springer, since 2000. Publications from LCA can be seen in the separate page on publications on this site. The major commercial discovery, so far, from the LCA has been the identification of cytokinins – kinetin and zeatin – as anti-ageing molecules – (see separate section on this and other ageing interventions). Testing and developing the concept of hormesis as a modulator of ageing has been another successful story from LCA, which is the basis of skin care products such as VAXIN FOR YOUTH by Givenchy. 1. Anastassia Derventzi (Greece); Ageing: the failure of homeostasis. (July 1992; co-supervision with Brian Clark). 2. Marie Kveiborg (Denmark); Cellular and molecular mechanisms of bone loss in aging. (May 2000; co-supervision with Moustapha Kassem). 3. Karin Stendrup (Denmark); Effect of age on human bone marrow stromal cells and their potential use in gene and cell therapy. (January 2002; co-supervision with Moustapha Kassem). 4. Jeannette Justesen (Denmark); Investigations of the relationship between adipocyte and osteoblast differentiation. (May 2002; co-supervision with Moustapha Kassem). 5. Ripudaman Singh (India); Association of heat shock protein 70 genes with human aging, longevity, survival and stress response. (March 2006; co-supervision with Steen Kølvraa). 6. Dino Demirovic (Denmark); Establishing stress response profiles in ageing human cells as markers of health. (August 2015). 1. Jens Cavallius (Denmark); Activity estimation and properties of mammalian elongation factor 1a. (March 1986). 2. Bent Riis (Denmark); Studies on elongation factor 2 in eukaryotic protein synthesis. (August 1990). 3. Lise Svendsen (Denmark); Garlic and ageing: cellular and molecular studies on the effects of garlic on human skin fibroblasts during ageing. (April 1992). 5. Lisbeth Ankersen (Denmark); Ageing of human trabecular osteoblasts. (June 1994). 6. Lars H. Østergaard (Denmark); Applications of new two-dimensional electrophoresis: use of immobilized pH gradients as a tool for characterisation of proteins. (June 1994). 7. Hanne Norsgaard (Denmark); Ageing and differentiation in human keratinocytes. (May 1997). 8. Anders Olsen (Denmark); A study of the antioxidant properties of kinetin in vitro and in vivo. (March 1999). 9. Susanne Mogensen (Denmark); The protein universe of human skin keratinocytes undergoing differentiation and ageing in vitro. (August 2000). 10. Lakshman Sodagam (India); Gerontomodulatory effects of zeatin on human skin fibroblasts undergoing ageing in vitro. (August 2004). 11. Regina Gonzalez Dosal (Spain); Analysis of glycation on the proteasome during ageing using phage displayed antibodies. (January 2005). 12. David C. Kraft (Denmark); Regulation of proteasome activity by heat shock, proteasomal inhibition and oxidative stress in human cells. (June 2005). 13. Elise R. Nielsen (Denmark); Heat shock-induced alterations in MAP kinases during cellular aging in vitro. (August 2005). 14. Rehab E. Ali (Egypt); Hormetic modulation of age-related changes in human keratincytes: effects of heat shcok and curcumin. (September 2006). 15. Ulrich Berge (Germany); Modulation of differentiation of normal human keratinocytes undergoing replicative senescence in vitro. (November 2006). 16. Mari Sild (Estonia); Individual variations in the expression of Werner gene in normal individuals. (September 2007; co-supervision with Bjørn Nexø). 17. Henrik Sejersen (Denmark); Dicarbonyl-induced accelerated aging in human fibroblasts. (September 2007). 18. Tina Hansen (Denmark); Age-related changes in the proteasomal activities in C. elgans, and its modulation by heat shock. 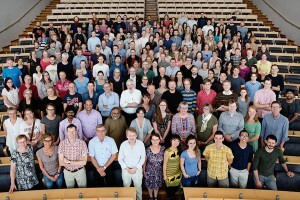 (December 2007; co-supervision with Anders Olsen, Buck Institute, USA). 19. Rune Nørggard (Denmark); Improved differentiation of telomerase-immortalised human bone marrow stem cells by mild heat stress (March 2008). 20. Iben Lundgaard (Denmark); Mutation of putative phosphorylation sites of ALG-2. (May 2008; co-supervision with Martin Berchtold, University of Copenhagen). 21. Simon Larsen (Denmark); Glyoxal-induced acclerated ageing in telomerase-immortalised human bone marrow stem cells. (June 2009). 22. Dino Demirovic (Denmark); Wound healing during cellular ageing and its hormetic modulation with curcumin. (October 2009). 23. Peter Jørgensen (Denmark): Testing the rejuvenating potential of young ECM on human skin fibroblasts (November 2013). 24. Evelyn Samuel (Denmark): Identification of interacting proteins of neuroglobin and expression analysis in a rat model of depression (Supervision together with: Dr. Heidi Kaastrup Müller, Department of Clinical Medicine, AU Hospital); (November 2016). 1. Dino Demirovic (Denmark); Molecular basis of hormesis in ageing. (theoretical project; April 2007). 2. Renuka Jeyaras (Denmark); Nucleic acids and the damages during ageing. (theoretical project; Feb 2009). 3. Ea Vinten (Denmark); Protein modification and during ageing. (theoretical project; was due sometime in 2009; but finally finished in March 2011). 4. Ole Jørgensen (Denmark); Modulation of wound healing during ageing. (research project; started in late 2008, finished January 2011). 5. Aske Rask (Denmark); Flavanoids and polyphenols – do they have anti-ageing effects? (theoretical project; June 2010). 6. Sara Elisabeth Eriksen (Denmark); Aldring af huden: molekylær basis og mekanismer (theoretical project; August 2010). 7. Elisabeth Kristoffersen (Denmark); Hypoxia-induced hormetic modulation of angiogenesis in human endothelial cells. (research project; August 2010). 8. Majda Ashraf (Denmark); Mitochondria in ageing (theoretical project, September 2010). 9. Peter Jørgensen (Denmark): Modulating cellular mobility in human stem cells (research project; June 2011). 10. Hoger Amin (Denmark): Determining the dose response of facial skin fibroblasts to glyoxal treatment as an inducer of premature senescence (research project, August 2012). 11. Henriette Jørgensen (Denmark): Donor age effects of serum on the wound healing ability of mesenchymal stem cells (research project; started: August 2012; completed: August 2013)). 13. Maja Fuhlendorff Jensen (Denmark): Testing the limits of nutritional stress tolerance of telomerase-immortalised human mesenchymal stem cells (research project, April-June 2015). 14. Piravina Sivanandam (Denmark): A pilot study on the effects of stress hormone hydrocortisone onnormal human skin fibroblasts (reasearch project, April-June 2016). 1. Jean-Pierre Sibeijn (Belgium); Keratinocyte differentiation during ageing: a search for possible markers of keratinocyte ageing. (August 1992). 2. Diogo Sampaio e Castro (Spain); Attempts at optimising the culture medium for growth of human osteoblasts. (August 1994). 3. Isabel dos Santos Cardoso (Spain); Attempts to quantify EF-1a in cell cultures. (August 1995). 4. Regina Gonzalez Dosal (Spain); Effects of fish-, grape seed- and tomato extracts on cell proliferation and formation of 8-oxo-2´-deoxyguanosine in DNA in vitro. (June 2001). 5. Mari Sild (Estonia); Association of successful ageing with genomic maintenance and stress response: studies on WRN and HSP70 genes. (May 2005). 6. Ulrich Berge (Germany); Kinetin-indcued differentation of normal human keratinocytes undergoing ageing in vitro. (July 2005). 7. Juliane Behrens (Germany); Modulating differentiation and growth of immortalized keratinocytes by calcium, kinetin, curcumin, heat shock and sugars. (July 2006). 8. Joana M.T. Magalhaes (Portugal); Glucose-mediated modulation of ageing and differentiation of human bone marrow stem cells. (September 2006). 9. Malgorzata Wierzbicka (Poland); Glyoxal-induced accelerated ageing in hTERT-immobilized mesenchymal stem cells (March 2007). 10. Weiwei Luo (Singapore); Heat shock-mediated modulation of angiogenesis in human umbilical cord vascular and microvascular endothelial cells. (July 2007). 11. Ricardo Fernandes (Portugal); Modulation of wound healing by ageing human fibroblasts by heat shock and glyoxal. (August 2007). 12. Barbara Dymek (Poland); Testing the hormetic effects of curcumin on human fibroblasts (July 2008). 13. Clémentine Martres (France); Cellular stress responses with emphasis on autophagy (February 2011). 14. Marissa Priyanka Chatterjee (India-Sweden); Heat shock response of telomerase-immortalized human mesenchymal stem cells (May 2011). 15. Irene Martinex de Toda (Spain); Immediate stress responses in terms of transcriptional factor translocation in human cells (2012-2013). 20. Indra Kumar, Gopi (India); M.Tech. student; Testing the effects of cortisol on immortalised bone marrow stem cells (7 March- 26 June 2016). 21. Christine Maria Reck (Germany): Evaluation of rosmarinic acid as a possible hormetin in telomerase immortalized human stem cells (1 September 2016 to 15 January 2017). 22. Irene Martinex de Toda (Spain); Glucose and serum starvation effects on ageing human cells (Sept-December 2017). 23. Nanik Wahrhausen (Germany); Relevance of molecular damage accumulation during ageing (theoretical project) (Sept-DEc 2018). 3. Dr. Cristovao Lima (Portugal) – visiting post-doc (2008) testing the hormetic effects of curcumin, rosmarinic acid and other potential hormetin.